We really need to talk about this. It was a typical family day for entrepreneur Pam Baluyo, 43, her husband, 24-year-old daughter, and her uncle on October 9, 2016 as they ambled around SM City BF, Parañaque. Then came the friendly voice of a Filipina saleslady who commented on her dry-looking skin and offered to apply a lotion sample on the back of her hand. Pam recently returned from a trip to the United States where the colder weather exacerbated her dry skin issues. In a good mood and curious as to what the lotion could do for her, Pam followed the saleslady to the kiosk, which sold Dead Sea cosmetics. A foreign-looking woman in her mid-20s who introduced herself as the kiosk manager took over. And that’s when Pam’s four-month travail with allegedly deceptive sales practices of Dead Sea cosmetics began. To be honest, I always wondered why there were foreigners among the Filipino salespeople soliciting customers in these types of kiosks...How did foreigners manage to get jobs in a field which any competent, well-trained Filipino could do? Exactly two years from the date Pam discovered the erroneous charges on her card made by the Dead Sea cosmetics kiosk in SM, came my encounter with a Dead Sea cosmetics kiosk inside Cinderella department store in Glorietta 3, Makati. You can read about the account here. 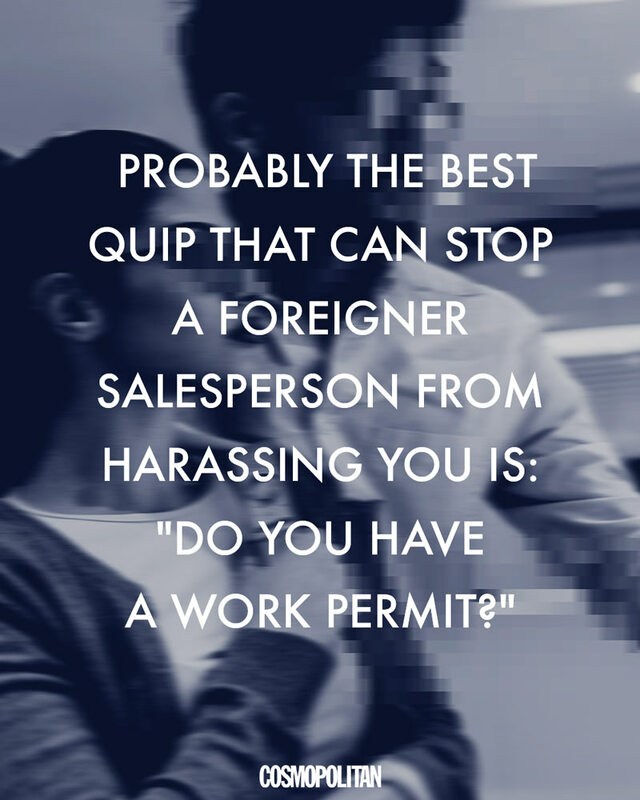 I walked away with my money intact, but not after being harassed with aggressive questioning from a foreign-looking salesman who seemed miffed that I was rejecting his 40 percent discount off a P6,800-jar of Jericho facial peel. I later learned the salesman was from Israel, like the manager who pitched Pam the goods. I filed a complaint with the Department of Trade and Industry’s (DTI) Fair Trade Enforcement Bureau, which arranged mediation on November 12 and 16, 2018 between me and the company which ran the kiosk in Cinderella, Beauty Republic Internationale, Inc. It’s worth noting for later reference in item #3 that Beauty Republic formerly operated as London Sales Corporation. Beauty Republic also owned the kiosk which sold Pam the goods in 2016, and issued her a cash invoice in the name of London Sales and a receipt in the name of Beauty Republic. Prior to mediation, I wondered if I wasn’t alone in feeling unnecessarily aggravated by such sales tactics. I googled “Dead Sea cosmetics complaints” and “Jericho Pomegranate Facial Peel.” I discovered links to news items abroad and dozens of comments online by Filipinos, including Pam, who complained of the pushy, confusing, and deceptive sales tactics of these kiosk sellers. Cosmopolitan attempted efforts in good faith to get the side of Beauty Republic, which has been named a respondent in more than 100 complaints filed with the DTI (more on that in Ugly Truth #4), including mine and Pam’s. At mediation, Beauty Republic, through its general manager Lei Alvaran, “agreed to have an interview with Ms. Parpan on Wednesday, November 21” to air their side of the story and address the issues raised in this article. Despite having sent questions in advance for them to be able to prepare, the general manager called on the day of the interview to say that she and their sales trainer from Israel who also appeared at mediation, Mor Kakun, were “declining the interview.” So in effect, mediation was unsuccessful since the agreement was broken. Another email I sent directly to the company president, Bianca Juliano Madamba, requesting for an interview was unanswered. On LinkedIn, Madamba lists her past experience as director of brand management for Beauty Republic and London Sales Corp., which was the former company name. Dead Sea cosmetics are pricey. Let’s be clear: This article does not question the efficacy of Dead Sea cosmetics. There are testimonies from users worldwide who attribute improved skin quality to the reported smoothening and clarifying properties of cosmetics whose main ingredients are mineral-rich mud and salts from the Dead Sea. But the prices of the creams, salt scrubs, mud masks, moisturizers, and other variants that go by the brand names Origani, Jericho, Black Pearl 24K Gold, Ahava, Sea of Spa, Dead Sea Premier, Kedma, to name a few, can cause a huge dent in the budget even of an upwardly mobile 30-something woman or a working mother. The high prices are attributed to the low volume of supply of Dead Sea mud and salts, whose extraction is controlled by one company, Ahava, the acknowledged pioneer of the Dead Sea cosmetics industry. The global reach of this Israeli company was evident in the Philippines, when it opened a flagship store in SM Megamall, Mandaluyong in 2010. The market for Dead Sea mud and minerals cosmetics worldwide is expected to nearly triple to USD$3.2 billion in 2024 from $1.2 billion in 2015. In the Philippines, revenues from the skincare industry are estimated at $1.12 billion (P60.5 billion) in 2018 and are expected to grow at 5.9 percent annually until 2021. These revenues are dwarfed by the United States’ $16.9-billion skincare market. Despite the small market (relative to the U.S.), the high prices of Dead Sea products, and concern over the shrinking of the Dead Sea due to climate change and extraction, these cosmetics are peddled in the country. Dead Sea kiosks follow the same sales pitch. These four reactions were common among the complaints about the Dead Sea kiosks’ sales tactics on two local blogs that did product reviews, blogph.net in March 2016 and momtraneur.com in October 2016. What is telling is that even if the posts were made in 2016, complaints or expressions of regret about the purchases made following pushy sales tactics appear in the "comments" section of the blog posts to this day. 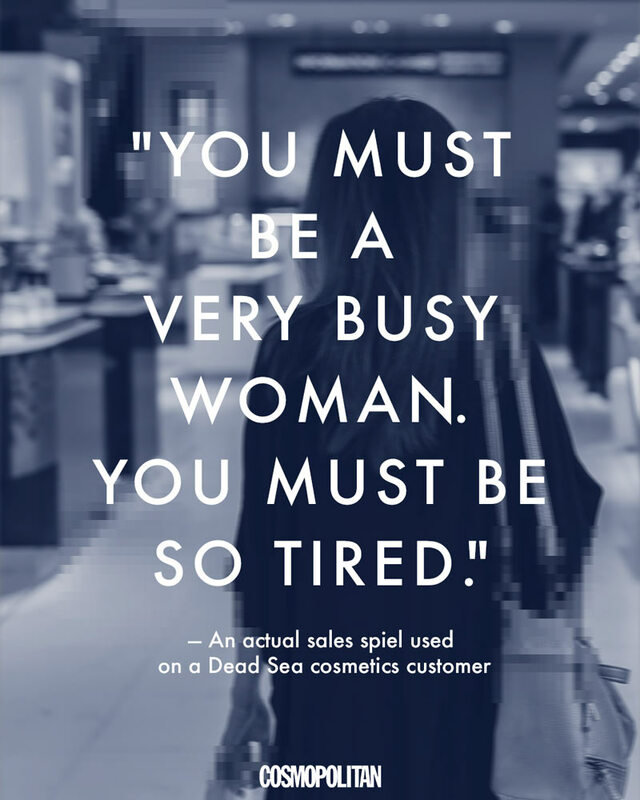 Filipinos are not alone when it comes to complaints about the pushy sales tactics of Dead Sea cosmetics. Google search spits out echo chambers of complaints from American consumers on various websites like reddit.com and yelp.com. A mall in Auckland, New Zealand banned these kiosks selling such products because of consumer complaints, according to this September 2014 article in the Times of Israel. Even the Israeli Foreign Ministry spokesperson Yigal Palmor (who served as spokesperson from August 2008 to August 2014) is quoted in it as saying that kiosk work “leaves a very detrimental mark on people’s minds.” Meanwhile, the Consumer Association of Singapore cracked down on such kiosks and ordered the company selling Dead Sea Premier products to refund the money of customers who felt they were forced into buying the products because of their high-pressure sales tactics. Cosmopolitan reached out to DTI Undersecretary Ruth Castelo regarding the complaints on Dead Sea cosmetics. She was aware of the sales tactics. “What these people do specially is that they engage foreigners to intimidate the consumers,” she said in an interview. “A lady innocently and in a relaxed mode is walking in the mall, and then suddenly they’re harassed by a foreign-looking salesperson pushing the product. More often that not, the women victimized here are the ones that couldn’t say ‘no,’” the undersecretary added. After reading the comments online of consumers, mostly women, who desperately sought redress or expressed remorse, I was hopeful that the mutual settlement Beauty Republic and I reached in mediation—for them to do an interview a few days later, could shed light on their pushy sales tactics. I would’ve liked to ask the company’s general manager, Ms. Alvaran, who has faced me, Pam, and dozens of other complainants in a span of two years how she could stomach repeated summons to mediation or adjudication, and take up the cudgels for the company’s Israeli nationals who seemed to be working without permits, and the all-Filipino stockholders composed of one man and four women including its president, Ms. Madamba. We get it. Selling is hard. But there are ways to do it without being pushy. The negative effect of hard-sell tactics on consumer decision was first proven in a 1980 study by Mona A. Clee and Robert A. Wicklund in the Journal of Consumer Research. The study, widely quoted through decades in subsequent research on buyer behavior, found that a hard-sell approach perceived by the buyer as threatening to her freedom of choice led to a boomerang effect—that is, the consumer did the opposite of what the salesperson intended. But how to explain why customers sign away on their credit cards in a state of euphoria or a lingering feeling of dread? The landmark study by 2002 Nobel Prize winner for economics, Israeli psychologist Daniel Kahneman and his late colleague Amos Tversky, destroyed classical economics’ long-held belief that humans are “rational actors.” They proved that an individual’s cognitive biases explain why they make decisions and behave in ways that are irrational. Cognitive biases are “a collection of faulty ways of thinking hardwired into the human brain,” says Ben Yagoda in his engaging article on the subject forThe Atlantic. Sellers are trained to spot the “right” customer for their sales pitches. They are also adept at how to influence buyers’ cognitive biases, such as sunk-cost fallacy and the anchoring bias, to close a sale, especially if it’s under time pressure. Do the Dead Sea product kiosks use aggressive sales pressure or directive? You and I don’t need a bachelor’s degree in marketing to know why these kiosks, whether in the Philippines or abroad, are mired in consumer complaints. We get it. Selling is hard. But there are ways to do it without being pushy. “Don't focus on the one sale you're trying to make—focus on creating a repeat customer,” says creative executive Molly St. Louis. This works when the salesperson believes in the product and is in the job for the longer-term. But it doesn’t apply if the salesperson is in it for a quick buck, and therefore has no stake in cultivating relationships with customers. Which brings us to the next point you should be wary of. The foreigners working in these kiosks in malls most likely do not have the necessary Alien Employment Permits or 9G visas required to work legally in the Philippines. To be honest, I always wondered why there were foreigners among the Filipino salespeople soliciting customers in these types of kiosks but I paid no mind, until October 12. Selling cosmetics isn’t rocket science. How did foreigners manage to get jobs in a field which any competent, well-trained Filipino could do? As in the United States, the European Union, and other countries, Philippine labor laws call for the application of the labor market information test, in which employment opportunities in the country be offered first to suitable local candidates. A foreigner can only fill the position if it is proven that there is no such qualified local candidate. To work in the Philippines, foreign nationals are required to obtain the alien employment permit (AEP) issued by the Department of Labor and Employment (DOLE). The rules are clear. 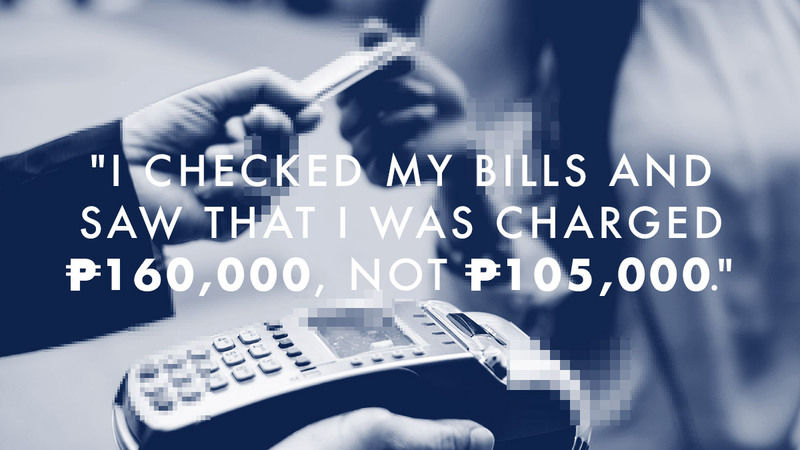 A foreign national cannot work until the AEP card is obtained, or he/she risks a P10,000 fine. The application for AEP can be filed directly by the foreign national or by the prospective employer at the DOLE office which holds jurisdiction over the foreign national’s intended place of work. The 9G pre-arranged work visa from the Bureau of Immigration can only be obtained with the presentation of a valid AEP as one of the 11 requirements. A check with the Department of Labor and Employment’s (DOLE) NCR office in Malate, Manila showed that Beauty Republic was denied applications for 15 foreigners it filed AEPs for from 2015 to 2016. Atty. Ana C. Dione, regional director of the DOLE-NCR office, told Cosmopolitan that the denials were due to “misrepresentation” or the company’s inability to meet the labor market information test. I remembered the name London Sales Corp. from my mediation notice and asked about any AEP filings as well. DOLE-NCR said that from 2010 to 2014, applications by London Sales Corp. for 13 AEPs were denied. From 2017 onwards, the DOLE-NCR disavowed having any records of AEPs filed by Beauty Republic. It was a few days later, while checking Food and Drug Administration records online for consumer product notifications for different Dead Sea cosmetics brands (item #1) that I came across F Cosmetics & Fashion Ventures. Apart from sharing the same address as Beauty Republic in Taguig City, the two companies had the same corporate secretary, based on Securities and Exchange Commission records in 2017. A check on the DOLE’s Alien Employment Permit Verification system showed “No Records Found” for any AEPs filed by F Cosmetics & Fashion Ventures. How to explain then, the presence of the working foreigners in Pam’s case and mine? Former Bureau of Immigration Commissioner Siegfried Mison said that owners of companies employing aliens without proper work permits face fines of up to P10,000 or imprisonment for five years. Again, the November 21 interview which the company backed out from would have given them a chance to explain. The absence of work permits among foreigners in kiosks is part of a global narrative involving mostly young Israeli nationals. Fresh from their mandatory two-year stint with Israeli Defense Forces, they’re looking to make money selling Dead Sea cosmetics in countries where they were allowed entry on reciprocal visa-free arrangements (like the Philippines) or their tourist/visitor visas (as in the U.S.). The former Israeli foreign ministry spokesperson Yigal Palmor, who decried the modus operandi of kiosk work, stated that “the result will surprise no one that Israelis are generally perceived to be aggressive." Why is it mostly Israel nationals working in these Dead Sea kiosks? Among the thousands of restricted documents made available on Wikileaks is a February 20, 2009 cable from the U.S. Embassy in Tel Aviv titled "Dead Sea Cosmetics and Skincare Industry Fraud." It noted the proliferation of Israelis fresh from their mandatory two-year training with the Israeli Defense Forces (IDF), who enter the United States on tourist visas to work in Dead Sea cosmetics kiosks in U.S. malls. "Secondary investigations revealed that their true intent was to earn lots of money quickly by selling Dead Sea products at mall kiosks. The financial incentive is great; post-IDF salaries are low and jobs scarce—hence their ‘need’ to find a way to quickly finance their university education and/or onward travels. The fact that working and receiving a U.S. salary is illegal on B1/B2s really does not bother them. From their perspective, ‘not many Israelis are caught.’"
To date, despite close bilateral ties between the U.S. and Israel and a pro-Israel U.S. administration, Israel is not a part of the U.S. Visa Waiver program, which allows the citizens of 38 countries to enter and visit the United States for up to 90 days without a visa. “Tourist visas can be hard to come by for young Israelis who may want to visit the U.S.,” says Jacob Maslow in the Times of Israel blog. For Israelis visiting the Philippines however, it’s a different story. The Philippines allows the nationals of 157 countries visa-free entry for up to 30 days. The exceptions to the 30-day rule are Israel and Brazil, whose nationals can stay in the country for up to 59 days. A 1969 treaty between the Philippines and Israel spells this out. Filipinos are exempted from obtaining visitor visas for stays in Israel of up to three months, a privilege given to the Philippines in recognition for its noble act of granting safe haven to 1,200 Jews fleeing the Holocaust during World War II. Beauty Republic, the company named as respondent in consumer complaints, has more than 100 complaints filed against it with DTI in the National Capital Region alone in less than two years. The DTI-FTEB in the National Capital Region said it recorded 26 cases in mediation filed against Beauty Republic in 2017. This figure jumped to 88 as of November 16, 2018. “This number is already alarming. For 2018 alone we have 88 cases filed against Beauty Republic,” said DTI Undersecretary Castelo. All these are cases under the jurisdiction of DTI-NCR. During the interview, I pointed out to Undersecretary Castelo the names of the companies in my mediation notice—London Sales and Beauty Republic; and the same address that Beauty Republic and F Cosmetics shared. Without referring specifically to these companies, she noted that companies changing their business names "are hiding something." "If there is something to hide, they must have had several cases of complaints. So they change the business name, carrying the same brands then apply for a new business permit to operate," said Castelo, who once prosecuted cases in the Sandiganbayan before she was appointed DTI undersecretary. Castelo vowed that the DTI will review Beauty Republic and the cases filed against it. “I’ll have the Fair Trade Enforcement Bureau give me a summary of the cases, their evaluation, and the background of the company... We’ll look into the merits [of the cases] to see that these are not whimsical or capricious complaints,” she said. The DTI will also coordinate with related government agencies such as the SEC and the FDA, and the local government units that issued business permits to Beauty Republic and F Cosmetics, she added. In October 2016, after encountering other complaints about Dead Sea kiosks on the blogs, Pam Baluyo sought to unite the complainants in the hope of initiating a class-action suit against Beauty Republic. In January 2017, she formed a Facebook group "Black Pearl/Origani /Jericho Complaints Group." There were another 44 consumers, mostly women, who joined the group, all with complaints similar to Pam’s. "I was giving the others advice on what to do. I shared advice on how to file the complaint with the DTI, and what to expect in mediation," she said. The group was short-lived. On July 7, 2017, Facebook sent a notification to her personal Facebook account informing her that the group’s page was shut down. "We didn’t get any explanation why." Pam claimed that "someone who didn’t like what we were doing reported us to Facebook." Scandal-ridden Facebook does remove pages without warning if its other users find a post on a page offensive. Because humans, as Kahneman and Tversky established, are not rational actors, there will be sellers other than Dead Sea cosmetics kiosks that won’t waste an opportunity to reap profits from consumers' insecurities about their looks. No matter what the outcome is of the DTI-FTEB's investigation, here are six steps you can take to prevent buyer's remorse and the unnecessary aggravation from pushy and deceptive sales tactics. We have rights as consumers, but we have responsibilities too. The mall experience is part of Filipino life. Don’t let high-pressure or overly flattering salespeople ruin it. Do your due diligence. Know your skin type, and the ingredients of skin care products and cosmetics that can be beneficial or harmful to you. The more you know yourself, the better you can hold your ground against sales pitches, and prevent getting suckered into purchases you’ll regret. Want to save yourself from hard-sell sales tactics and exorbitant prices or even adverse skin reactions? Go online before you head to the mall. Chances are, you’ll even find the product at a cheaper price, and you’ll see reviews of the product that will validate or negate your need for it. Unsure if the product is legally allowed for sale in the country? Visit the FDA’s site and type in the name of the product in the search field to find records of the consumer product notification (CPN), required before any cosmetic or skin care product can be sold in the market. If their website is down, email ccrraseannotification@gmail.com, the FDA’s Center for Cosmetic Regulation and Research, to inquire about a product and you can get a response within 24 hours. That’s what I did. A day’s wait for verification is worth it, compared to the months of anguish you might experience if the products you forked over five to six figures for turn out to be big-time duds, or don’t even have the requisite FDA permits. But if you’ve been cornered into a kiosk, assert yourself. Tell them you want to check reviews and prices online. If the salesperson responds in a more desperate, cajoling, or aggressive manner by offering a “40 percent discount,” throwing in more “free” products, and a facial (“It’s only 10 minutes!”) for you and whoever happens to be with you just to keep you in their sights and within arm’s reach of your credit card, that’s a huge red flag. Walk away. Now. Speak up. If you feel you’ve been unnecessarily vexed by a salesperson, look for the mall’s concierge and file a complaint. Three weeks after I filed my complaint with the DTI, I went to Cinderella Department Store to file a record of my encounter with the kiosk. It so happened that the Israeli salesman who tried to intimidate me was there. I took a video of him and the kiosk. Another Israeli man approached me to ask in a rather hostile manner, “Why are you taking video?” I told him it was none of his business as I asked the cashier for the store manager. At the time, I had not yet interviewed the Labor Department regarding alien employment permits and was unaware that Beauty Republic had not filed for employment permits, or I would have asked “Do you have a work permit?” While I have yet to receive a statement from Cinderella about what they intend to do about the kiosk and its sales practices, AyalaLand Malls, which operates Glorietta 3 where Cinderella is located and which houses a number of standalone Dead Sea cosmetics kiosks and boutiques took my complaint seriously. It issued a statement confirming its commitment “to protecting the experience, and most especially, the safety, of our customers.” “We condemn any aggressive sales tactics at Ayala Malls,” the statement said. “We are in direct communication with the involved tenant/s, regarding these complaints, and we will continue to monitor them very carefully as well as exercise our rights as lessor to impose sanctions whenever necessary.” The mall experience is part of Filipino life. Don’t let high-pressure or overly flattering salespeople ruin it. Mediation works. Seek redress through it. Thanks to the Consumer Act, Filipinos have a proven, effective recourse to refund, repair, or replacement for substandard goods and services and deceptive selling practices. But judging from the comments of consumers complaining about the Dead Sea kiosks, a good number were unaware of mediation as a method of seeking redress. You can download the official DTI complaint form from this link. Address your letter of complaint to the DTI-Fair Trade Enforcement Bureau at ftebmediation@dti.gov.ph. The bureau can be reached at (02) 751-3330, (02) 975-7965; (0917) 659-2658, and (0917) 834-3330. The DTI-Fair Trade Enforcement Boards throughout the country are committed to resolving complaints received by their office within 10 working days by mediation. If mediation between buyer and seller is unsuccessful, the DTI shepherds complaints through adjudication within 20 working days. Pam gave top marks to the DTI-FTEB. "They acted immediately on my complaint. Then when things went awry with the company after mediation, they helped me get back the attention of the respondent to my case," she said. Whatever ideas we have about red tape or bureaucracy in government, it’s time we rid ourselves of it. In May 2018, Republic Act 11032—the Ease of Doing Business and Efficient Government Service Delivery Act of 2018—further boosted the Anti-Red Tape Act of 2007 (Republic Act 9485). This gave me confidence that my grievance with the DTI would be addressed within a reasonable time. I was not let down. I am grateful to the DTI-FTEB for accommodating my complaint, even if no purchase or transaction took place, since this brought to light the hard-sell sales practices of these companies selling Dead Sea beauty products. Cosmo asks: Have you had an experience purchasing products because you felt you were pressured to buy them? Share your experience in the comments section. If you wish to report a violation of the Consumer Act involving high-pressure sales of Dead Sea cosmetics from a kiosk in your mall, download the official DTI complaint form from this link. Address your letter of complaint to the DTI-Fair Trade Enforcement Bureau at ftebmediation@dti.gov.ph. The bureau can be reached at (02) 751-3330, (02) 975-7965; (0917) 659-2658, and (0917) 834-3330.